Abstract: Increasing the strength and ductility of materials, separately or concurrently, is one of the oldest problems in engineering. As the first outcome, if we have stronger materials then we will be able to reduce the weight of many structures with the same performance by using these new materials. then just reducing a slight weight in a for example plane, can have significant effects on something like energy dissipation. Or, we can prevent many of the failures which happen due to the materials weaknesses. For years, in classic engineering, tremendous amount of work was dedicated to improve the metals properties by utilizing various thermo‐mechanical post‐processing techniques. But at some point, almost everyone was accepting those methods have reached a saturation and modifying these techniques can only make insignificant improvements in mechanical properties. In recent years the idea of using some nanomaterials (such as Graphene) changed the whole story and promised a huge chance to improve the metals performance. However, in the process of reinforcing metals with nanomaterials many challenges evolved when the initial theoretical concepts were tried to be implemented in practical applications. Although nanomaterials exhibit ultra‐high strength and large recoverable strains (due to the absence of crystalline defects in their structure), when a nano‐filler, i.e. graphene, is added to conventional metal matrices to create composites, their exceptional intrinsic mechanical properties cannot be fully harvested. This failure in achieving the intrinsic large elastic strain and high strengths of nanomaterials, once they are in composite, is commonly dubbed the “valley of death”, pointing to the loss of mechanical performance over two different length scales. In this talk, we review our recent investigations on metal‐graphene composites and a new concept of matching the large recoverable strain in the transforming metal matrix with the large elastic strain of the graphene. Using the large recoverable strains in the metallic matrix, and the exceptional strength of reinforced composite particles in the composite, this system can make a significant advancement in transferring the exceptional mechanical properties of nanofillers across larger scales, and can make a substantial progression in overcoming the longstanding strength-ductility trade‐off challenge. 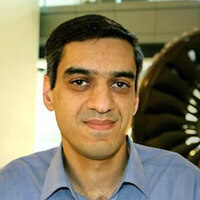 Bio: Dr. Reza Mirzaeifar is an Assistant Professor in the Mechanical Engineering Department at Virginia Tech. Before joining VT, he has been a postdoctoral associate in Massachusetts Institute of Technology, and has received his PhD in 2013 from the George W. Woodruff School of Mechanical Engineering at Georgia Institute of Technology. He is the recipient of 2018 Air Force Young Investigator Program (YIP) Award. His experience is focused on multiscale mechanics of advanced materials. His research work has been published and presented in 45 journal papers and 40 conference presentations and proceedings.